If it wasn’t so vile and shamefully disrespectful, it would almost be laughable. What? The idea that uninformed, unqualified people refer to Kabbalist and Rabbi Rav Berg as “Philip Berg” implying and alleging that Rav Berg is not a Rabbi. For alleging that Rav Berg is not the true successor to Rav Brandwein and the Kabbalah Centre founded in 1922. For decades a few have had the arrogance and shamelessness to refer to Rav Berg as “Philip Berg, the ex insurance salesman.” Their degree of ignorance, disrespect and cowardice has only elevated Rav Berg into the same rarified space as the greatest Kabbalists of human history. Sages like Rav Moses Chaim Luzzatto, Rav Isaac Luria, The Baal Shem Tov and every other Kabbalist who changed the course of history and were publicly detested by a few but powerful anti kabbalists. Surprising? Not at all. Wanna know why? Peer backwards into history. All the way to Mount Sinai. The ancient Israelites literally slandered Moses accusing him of murder and adultery, after they witnessed so many miracles. Now why? Why is that shameful display of character inscribed into the parchment of the sacred Torah and the Old Testament? One reason: That’s our nature. I know, it’s hard to admit. Is it surprising then that a few modern day Jews carry on with the tradition of slamming and slandering the spiritual giants of each generation. It’s also laughable and ludicrous because there are other self-proclaimed Kabbalists out there with zero credentials, zero rabbinical ordination and zero proof of their alleged titles. There are a select few jealous rabbis who know zero about Kabbalah, yet they speak ill will of the Kabbalists, as they’ve done throughout history. I would laugh except for the fact that Holocausts and persecutions and pogroms occur because of anti-kabbalists. And if any person on earth within the religious sector of Judaism tries to tell you different they are wrong. Dead wrong. Because this is what the Talmud, Torah, Zohar and every Kabbalist in history says. And in case you did not know, it was Kabbalists who wrote the Talmud and the books of Law pertaining to the Torah. Period. No argument. No discussion. No debate. There are people out there who call themselves cult experts and they are actually convicted felons with only high school diplomas that comment on these spiritual, rabbinical and kabbalistic giants, like Rav Berg. Funny. Bizarre. People who willingly listen to these silly folks deserve to listen. Perhaps that is why the famous esteemed Kabbalist of the middle 1500s, Rabbi Moses ben Jacob Cordovero (1522-1570), said it is the Rabbis and people who radically oppose Kabbalah that are solely responsible for all of the world’s suffering and destruction. His words, not mine. Rabbi De Lattes wrote that in the first ever Zohar that was published in 1558. Why did he say that? Because the Rabbis tried to stop De Lattes and Pope Paul IV from printing the Holy Zohar, which had the power to bring lasting peace. Rabbi Moses Chagiz of Germany was one of the influential and powerful anti-kabbalists of history. In the 18th century, he wrote a letter to the authorities condemning the great Rabbi and Kabbalist Moses Chaim Luzzatto. Today, Luzzatto is studied faithfully in most religious schools around the world. When he was alive, Chagiz destroyed Luzzatto’s reputation and drove him out of Italy. More about that in a moment. So what motivated Chagiz? Luzzatto formed a small circle of students called “the friends” (the chevre, in Hebrew) and they dedicated themselves to bringing the Zohar to the world in order to end suffering, pain and death. Well, the Rabbis and scholars and Chagiz went crazy. Nuts. Ballistic. But their irrational and fervent and raging opposition didn’t stop the courageous and brilliant Italian Kabbalist. Even Luzzatto’s teacher, one of the greatest Rabbis and Kabbalists of Italy at the time, Rabbi Yishaya Bassan, urged his young student to not battle the anti-Kabbalists because of their power and influence. Instead, he fought on valiantly. Luzzatto and his circle learned and meditated upon the Zohar 24 hours a day, seven days a week, literally, in relay teams to ignite blessings in this world and banish darkness. And Moses Chagiz raged in anger. By the way, in case you did not know, this is what the Chosen People were and are required to do; to bring the Zohar to the world. The Zohar IS the Light that was lost on Mount Sinai after the tablets of Moses were shattered. That Light IS the energy that will bring the age of Messiah and the end of death and pain from this world. You need to understand this in order to understand the irrational opposition by a select few throughout history. Chosen People means the Jews must from transform into Israelites and bring this Light to our Christian and Muslim brothers, and people of ALL faiths. How? By giving up our ego and changing from Jews into Israelites. Period. The anti kabblists were the few Jews who wanted to retain their ego and power and profit and wage war against Kabbalists and Christians and Muslims and play the victim instead of accepting responsibility and finishing the work that Moses began on Sinai. The profit from our chaos. Our pain. In case you did not know, throughout history, Christians and Muslims were close friends and protectors of the Kabbalists and the people who embraced the Zohar. Fact. Anyone tells you different, is wrong. Dead wrong. Wanna know a secret? The Zohar says when the Israelites bring the Zohar to the rest of the nations, and remove the ugly ego from their own nature, the other nations will elevate and cherish the Israelites. That is how we ensure peace for ourselves. The Zohar says when the world embraces the Zohar’s shining wisdom then the three spiritual “brothers” — Jacob (Israel) Esav (Christians) and Ishmael (Muslims) — will unite as one and everyone will experience immortal existence. Everyone! But there’s been one problem. The Zohar says in every generation there will be a small handful of Jewish anti-kabbalists who will prevent this from happening. Rabbi Shimon’s words, not mine. Chagiz even wrote that he personally wanted to see Luzzatto strung up on a wooden beam and left to die (sound familiar?). Chagiz was successful in his campaign. The Rabbis excommunicated Luzzatto. They took his sacred Zohar writings and buried them in caskets below the ground. That is a fact. And they burned his other books. That is a fact. And they made Luzzatto sign a sworn document that he would not teach Kabbalah to the people anymore. And then he continued teaching the world. What a renegade! What a rebel! But can you image that Jews were burning the most sacred books in history, the books that contain the Lost Light of Mount Sinai! The Zohar says how you treat the Kabbalists and how Jews treat one another is how the rest of the world will treat the Jews. Think about that for a while! Take a breath. A deep one. This disgusting, desecrating behavior against Kabbalah, against the Kabbalists and against the holy Zohar is the ONLY reason for anti-Semitism and the ONLY reason for poverty, war and destruction in our world. This is the only reason for all pain, according to every single Kabbalist in human history. You see the Zohar belongs to everyone. It contains the secrets of Jesus, the Prophet Muhammad, the secrets of Torah, the secrets of medicine and science and event the truth about the Holy Grail. Isaac Newton and the great physicists of the scientific revolution (pretty smart folks, dontcha think?) believed that Kabbalah had the power to unify all the religions and even science and create world peace. People like Paracelsus, the father of modern medicine. And the renaissance physicist Leibniz, who invented calculus. Search them on google with the word “kabbalah.” See how much they revered this wisdom. The power of Kabbalah is what the entire world, in every single generation, has been looking for. So when people stop you from getting the Zohar by discrediting the Kabbalists, they delay the arrival of peace and cause all famine and all sickness. These are the words of the ancient Kabbalists, not mine. By the way, when we get a large amount of subscribers to this blog, I will start posting those mind-blowing, earth shattering, world-changing secrets about Jesus, the Grail, Islam, Christianity, Messiah and the final Armageddon as it was revealed by the Zohar 2000 years ago. These are the secrets the anti kabbalists didn’t want you to know. Now listen carefully. Luzzatto didn’t care what they said about him. I repeat, he did not care. He wasn’t concerned that his own reputation was destroyed. In fact, Luzzatto laughed at his opponents the entire time. He loved all the slander because it destroyed his ego. He relished that pain. In fact, he wrote this to his teacher Rabbi Bassan, in a letter. But Luzzatto cried for you. And me. And for the people of his generation, and our generation, because the Zohar did not reach the people. And thus, Christians, Muslims and Israelites continued to suffer. To this very day. In our generation, this age-old scorn and ancient ugliness was heaped upon Kabbalist Rav Berg over the last 40 years. Some claimed he was not a Rabbi. Others said he was not a true Kabbalist and successor of the Kabbalah Centre and the saintly Rav Yehuda Brandwein. Rav Berg, like Luzzatto and all Kabbalists before him, did not care about the slander. Not at all. Not one bit. Not because I need to dignify the anti-kabbalists. But to share the truth because the sharing of the truth, according to Luzzatto, IS the work of re-establishing the Light, Energy and totality of Revelation that took place on Mount Sinai. Did you get that? If not, read it again. I do this for me. To help me get rid of my own ugly, pathetic ego. To share the miracles and blessings and soulful wisdom that altered my entire being and altered my personal reality from one of fear, anxiety, panic attacks and jealousy, to one of simple peace of mind. The rest of the world deserves to have that same opportunity. Or at least the free to will to choose or reject it, based on an informed decision — not be solely influenced by lies, slander, defamation and utter cowardice. Wanna see your life change? Wanna see the tears evaporate and the smiles return? Wanna see earthquakes, disease, financial strife and corruption come to an end? Do what the Israelites came to do: Get rid of your ego, share Kabbalah, LIVE Kabbalah (which means loving Christians, Muslims and all People Unconditionally) and start sharing these truths. If you feel the power of these ancient words, start acting. Because no Kabbalist is coming to save you. Moses didn’t come to save us. Luzzatto, Rav Ashlag, Rav Brandwein, Rav Berg, Abraham, Isaac, Jacob, King David, Sarah, Queen Esther — none of them came to this world to save you. You are here to save you. How? Through the power of the Light of the Creator that waits for you to plug in, connect and illuminate your existence. Each of us is a candle that removes a portion of the darkness. When we reach a critical mass of people who are shining, the darkness will be gone and the Messiah will arrive to SEAL the deal on our behalf. It’s up to you. Always has been. When I start receiving lots of new subscribers to this site, and lots of comments to this article, I will post the fascinating truth about Rav Berg’s history, with never before seen photos and facts. I will expose the lies with hard evidence that will delight the very soul of the true students of the ancient science of Kabbalah. Remember, the Light heals and warms and embraces all those who strive to eradicate ego and selfishness. That same light feels like the burn of a torch to the ego. COMING SOON…A CANDID ACCOUNT AND CHRONICLE OF AN AMERICAN KABBALIST: THE LOWDOWN ON RAV BERG! The greater the Kabbalist, the more the antagonism. We need look no further than what evil people did to Jesus, Rabbi Akiva and all the other great Kabbalists of that generation. I applaud and congratulate you to stand up and share this information with us. I hope enough people like me are able to access your blog and be able to receive all this powerful revelations you have. We have to stand behind our believes and embrace the light of the creator. I’m very thankful with Rav Berg for opening the wisdom of Kabbalah to all of us. I can really say that when I started studying Kabbalah I have seen miracles and wonder around and in my life. At times I get confused regarding the eradication of the ego… The lazy Eastern teachings teach this. We see how dangerous it is to lose the EGO completely. It seems that we should bully the ego around at all times and at times let the ego help us rise to new levels. Much like rocket fuel. Please elaborate on this ego thing. 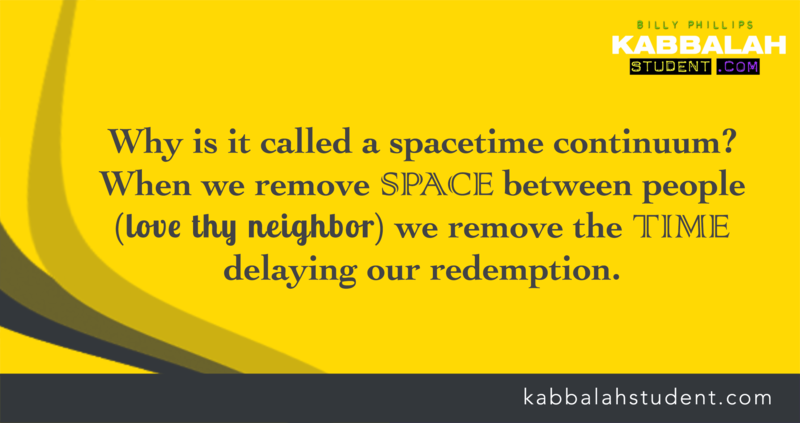 Thanks for posting this special truth about Kabbalah. I was in The Coffee Bean in Scottsdale , AZ and I had my Zohar with me, 2 business men sitting next to me looked at me taking the Zohar out of my purse and asked me what it was, I said ” The Zohar, have you heard about the Zohar” , one guy said ” yes, I’m Jewish” but he didnt really know too much about the Zohar, I told him to get the Zohar and go to Kabbalah.com or Ukabbalah.com to start learning this wisdom. He smiled and said thanks! It is discouraging the fact that some rabbis are hiding important information to the world and this also happens to the Vatican. It’s difficult to understand. The truth is for everybody,no matter to which race you belong to. It was given away once before- Jesus- and how did the people respond? There’s being ready for it, and not being ready for it yet. These days, we are fortunate because quicker still we are becoming ready. Don’t be discouraged. God is behind everything. What you have to do is keep turning your face back to Him. No matter what He throws at you. I heard a teacher quote the Rav as saying that if nobody hates you, then you’re not doing enough to spread the Light. Your blog is inspirational, an eye-opener, and truly needed. Thank you for spreading the Light. Thank-you for this … I cried. Seeing how people respond to Kabbalah and Kabbalists brings me so much anger. Also, more importantly, thank-you for the reminder of my responsibility in this.